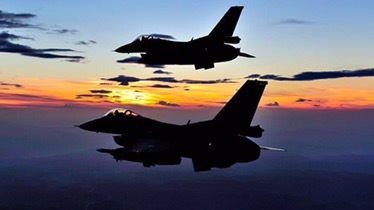 At least 12 PKK terrorists were killed in airstrikes carried out by Turkish warplanes in northern Iraq and southeastern Turkey early Friday, a security source said. The source, who spoke with Anadolu Agency on condition of anonymity due to restrictions on talking to the media, said Turkish warplanes destroyed eight PKK targets in Hakkari province’s Semdinli district. The air force also carried out a series of operations in Iraq’s northern Avasin/Basyan region and destroyed seven targets, the source added. The PKK — listed as a terrorist organization by Turkey, the U.S., and EU — resumed its 30-year armed campaign against the Turkish state in July 2015. Since then, nearly 600 security personnel have been martyred and more than 5,000 PKK terrorists killed.